The bead research community lost a principal member when Peter Francis, Jr., director of the Center for Bead Research in Lake Placid, New York, died December 8, 2002, while on a research trip to Ghana, West Africa. Pete was widely known and respected, and was responsible for significantly increasing people’s awareness – on a worldwide scale – of beads and their place in human culture through his many publications, lectures, workshops, symposia, and internet website. He leaves a void that will be very hard, if not impossible, to fill. Beading is a cultural necessity in some rural villages of Hungary and Transylvania, where peasants have used embroidery and beads to lavishly embellish their costumes for hundreds of years. Remaining little changed over several centuries and almost oblivious to beads and beadwork in the rest of the world, the peasants of these villages have slowly evolved their own style of beadwork from thread embroidery and other embellishing methods. 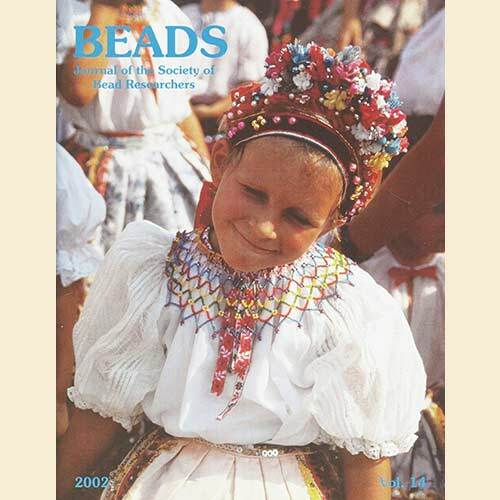 Based on field research, this article explores the cultural traditions, rich designs, and techniques of beadwork in four Hungarian villages – three in Transylvania (Romania) and one in southern Hungary. Giovanni Giacomuzzi (1817-1872) was the driving force behind the celebrated 19th-century Venetian beadmaking and glassworking firm of Fratelli Giacomuzzi fu Angelo, one of whose bead sample books is described in the accompanying report. This tribute by a learned contemporary summarizes Giacomuzzi’s accomplishments and sheds light on the life of a much-honored master glassworker. The sample book described herein displays the wound glass beads produced during the third quarter of the 19th century by an acclaimed Venetian firm, that of the Giacomuzzi brothers. 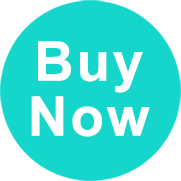 The book vividly shows what sorts of beads were being marketed by a single firm at this time, and provides much useful information concerning bead sizing systems. Although not marked with the producers name, the folders that accompany the book are of like date and at least one is likely a product of the Giacomuzzis. In Late Neolithic Europe, amber beads and pendants were initially mainly made in the coastal zone of the Baltic Sea, due to the presence of amber washed up by the Litorina Sea. There were four principal localized zones of Neolithic amber artifacts in this region: the eastern Baltic, the mouth of the Vistula River, Jutland and Skone, and Fennoscandinavia. The British Isles are regarded as a fifth zone. As the popular-scientific literature has so far provided scant information on the amber-working zone of the eastern Baltic, this article summarizes the findings revealed by extensive archaeological research, particularly during the past forty years. Amulets and Pendants in Ancient Maharashtra, by Jyotsna Maurya (2000), reviewed by Jonathan Mark Kenoyer • South East African Beadwork, 1850-1910: From Adornment to Artefact to Art, by Michael Stevenson and Michael Graham-Stewart (2000), reviewed by Margret Carey • Ancient Glass in the Israel Museum: Beads and Other Small Objects, by Maud Spaer et al. (2001), reviewed by Peter Francis, Jr. • Asia’s Maritime Bead Trade: 300 B.C. to the Present, by Peter Francis, Jr. (2002), reviewed by James W. Lankton • Ethnographic Beadwork: Aspects of Manufacture, Use and Conservation, Margot M. Wright, ed. (2001), reviewed by Alice Scherer.